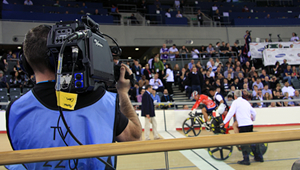 The Hi-Motion family of cameras are all full HD digital high-speed camera systems developed by nac Image Technology for the Broadcast Television Industry.Since the original Hi-Motion was first introduced in 2005, the system has been embraced by broadcasters and sports producers around the world, including the World Cup in 2006, Beijing 2008, Vancouver 2010 and most recently with 22 Hi-Motion II systems at the London Games in 2012. Stand-alone operation. E.g. 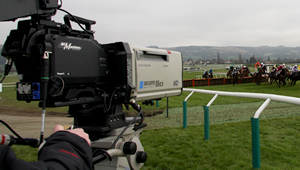 On Steadicam with RF Links. 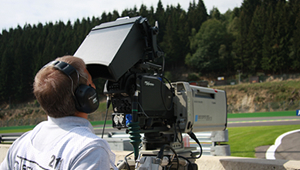 Hi-Motion camera systems are not only used on the world's top sports event coverage but also as a part of the regular coverage of professional matches; English Premier League Football; Champions League Football; NFL; NBA; MLB; AFL; major international motor racing; International Cricket; Rugby Union & League; Horse Racing; Equestrian etc. The Hi-Motion also won the 62nd Emmy Award (Technical/Engineering Achievement Award) from the National Academy of Arts and Sciences in recognition of all the achievements in sports broadcasting and television production. This is the evolution of the EMMY Award winning Hi-Motion technology.